Adam is a senior in the Smeal College of Business studying Finance. Prior to joining Happy Valley Ventures, Adam was a Fund Manager in the Nittany Lion Fund, Penn State’s $8 million student-run hedge fund. This past summer, he interned at Bank of America Merrill Lynch in New York in the Investment Banking Division, where he will be starting full-time in July. Adam is passionate about entrepreneurship, traveling, and Philadelphia sports teams. Matt is a senior in the Smeal College of Business studying Finance and New Venture Creation. Prior to joining Happy Valley Ventures, Matt worked at Industrial IoT firm, KCF Technologies, doing finance and sales strategy. This past summer, he interned at JPMorgan Chase & Co. on the Global Real Estate Team in Midtown, NY. Matt is passionate about skiing, cliff-jumping, and emerging technologies. Pat is a senior in the Smeal College of Business studying Finance and Technology-Based Entrepreneurship. Prior to joining Happy Valley Ventures, Pat worked at Los Angeles-based augmented/virtual reality startup INVAR Studios doing business development and Series A fundraising. This past summer, he was an intern on Facebook's Oculus Finance/BizOps Team in Menlo Park, CA and is now remotely interning for Minnesota/New York-based VC fund, Loup Ventures. Patrick is passionate about virtual reality, volleyball, and watching YouTube videos. Emma is a junior in the Smeal College of Business studying Finance and Economics. Prior to joining Happy Valley Ventures, Emma was a Fund Manager in the Nittany Lion Fund, Penn State’s $9 million student-run hedge fund. This past summer, she interned at Bank of America Merrill Lynch doing sales and trading in New York City. Emma is passionate about hiking, traveling, and going to concerts. 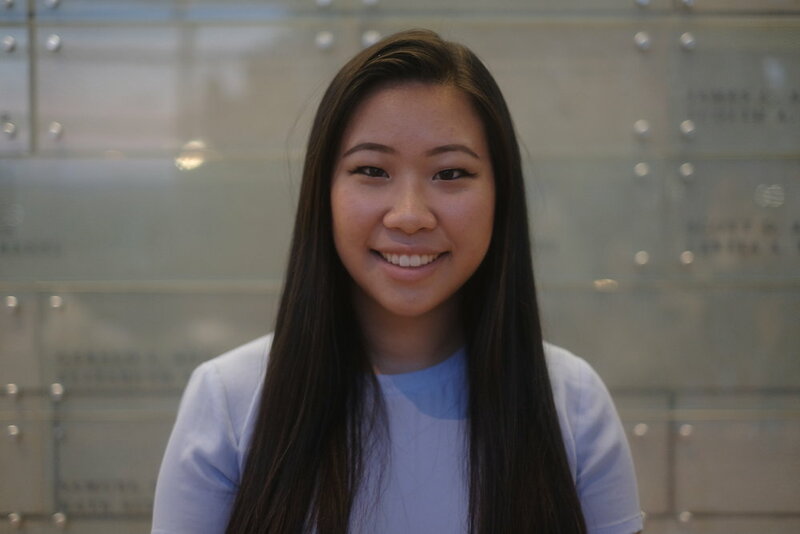 Aileen is a junior in the Smeal College of Business studying Finance. Prior to joining Happy Valley Ventures, Aileen was a Fund Manager in the Nittany Lion Fund, Penn State's $9.00 MM student-run hedge fund. This past summer, she interned for the Nittany Lion Fund as the Lead Analyst for the Consumer Discretionary Sector in State College, PA. Aileen is passionate about running, traveling, and spending time with family.